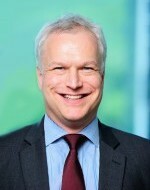 Stefan Scholz is a senior investment banker with a successful track record of over 20 years in banking, and extensive experience gained at both Dresdner Kleinwort Benson and JPMorgan across different industries in North America, Europe, the Middle East, Africa and Asia. From 2006 to 2011, Stefan built up as Head of Investment Banking the leading local investment banking franchise in Central Asia with activities across Russia, Kazakhstan, Uzbekistan, Kyrgyzstan, Tajikistan, Mongolia and China, closing transactions in excess of USD 12 billion and being voted “Best Corporate Finance and M&A Team” and “Best Local Investment Bank” in the CEE & CIS Banking Awards 2009 and 2010. Stefan co-founded ScholzvonGleich in 2011 in response to the increasing need for an independent firm in Kazakhstan to provide professional financial advisory services in relation to Mergers & Acquisitions, Equity Capital Markets, Debt Capital Markets, Financings, Restructurings, Privatizations and related matters to corporations, individuals, governments and other clients. Stefan studied Economics and Business Administration in Germany and the UK and holds a full-time MBA from the Henley Management College. Funding trends for mining projects in Kazakhstan.